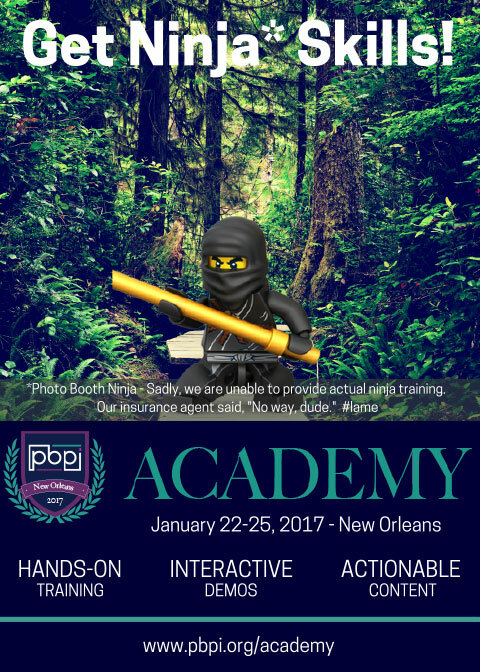 Home Don’t Miss PBPI Academy in January! Do you want to learn, be inspired, refreshed and high-fived? Yeah, we want that, too. That's why we designed Academy. It is going to be four days of pure awesome! If you are ready to make some giant leaps in your photo booth business but are struggling with the "how's", our instructors can show you what it takes what it takes to get ahead and how to make things happen. With 24 hours of intensive hands-on, skills & business training, taught in a classroom by the most inspiring, the most creative and the most business savvy people in the industry, Academy is going to be a one of a kind learning experience. Academy is not your typical conference. There's no giant trade show, and there are no sponsored presenters. All of our instructors are there to teach and to help raise up our industry. We believe that classrooms are for teaching, not for sales pitches. Academy instructors are real photo booth professionals who are thriving in this business and are passionate about what they do. We are also super thrilled to offer advanced software training taught directly by the five major software developers. That's right! Developers and Support Gurus from Darkroom Software, Breeze Systems, Photo Booth Upload/Photo Party Upload, Photo Booth Solutions and PicPic Social will be teaching both the fundamentals and the latest advanced features of their software. Come with your laptops ready! Since it is hard to learn when you are hungry, breakfast, lunch and snacks will be provided daily. And, attendees will enjoy a shoulder to shoulder peer networking experience where attendees, instructors, industry pros and vendors come together and mingle side by side at our nightly Networking Happy Hours. Yo, the drinks are on us! 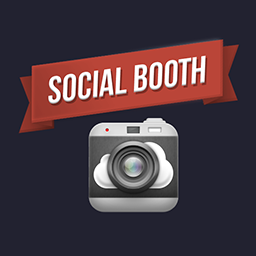 New player enters iPad Photo Booth market and it's good!iPad Photo Booth Templates Are Here!